Sunninghill And St Michaels Cof E School - a Memory of Ascot. I was so surprised to find this site – pleasantly so! I now live in South Africa, but was born in Sunninghill in 1943. My mother told me when I was old enough, that I had been premature, jaundiced (apparently my yellow skin matched my hair) weighed very little and nothing fitted me – but with the help of the legendary district nurse – Nurse Johns, my mother was able to feed me with a fountain pen dropper, and here I am.! Until I was three we lived in Mount Cottage in Exchange Rd. 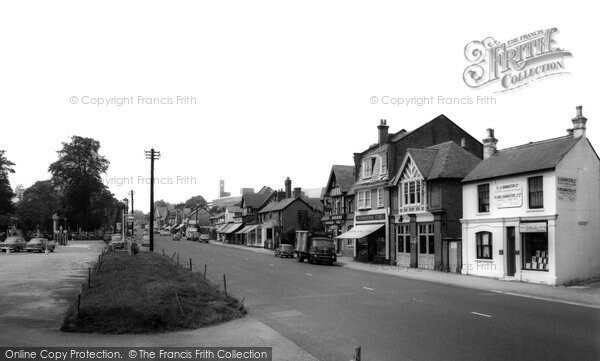 – in 1946 we moved to a brand new council house in Victoria Rd South Ascot. I attended St Michaels C of E school and later Ranelagh in Bracknell, and have had contact with a couple of old school friends through ‘Friends Reunited’ Although a number of my relatives lived in Sunninghill, the only one remaining is my Uncle Ralph Cooper and his wife Doris, who live in Exchange Rd. Do any of you remember Miss Stokely and Miss Pope – I was petrified of Miss Stokely, but Miss Pope was sweet. The headmaster at the time I left was Eric Steele(prior to that it was Mr Harrington) and he was rather formidable! I used to attend the Methodist Church and belonged to the choir – if there are any old choir members reading, remember how hard we worked to win the ‘Banner’. I have so many memories of Sunninghill and South Ascot, I could go on all day – I hope a contemporary will comment! A memory shared by Janet Sanders on Dec 26th, 2011. Send Janet Sanders a message.